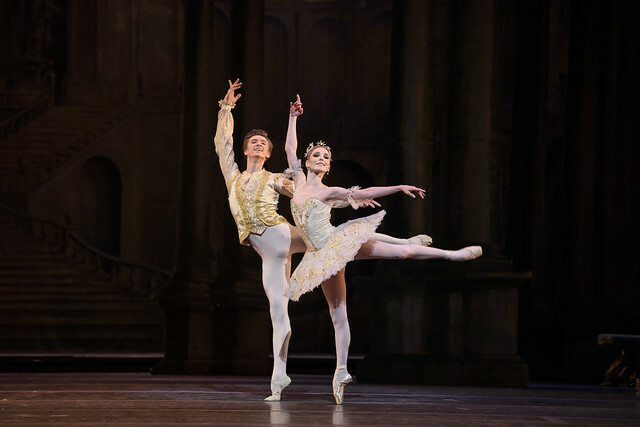 Your Reaction: What did you think of The Sleeping Beauty (2016/17)? Audience reactions to this classic ballet, with glorious music by Tchaikovsky. Pinpoint accuracy from @VMuntagirov tonight at #ROHbeauty. Magnificent. A very splendid opening last night #ROHbeauty @TheRoyalBallet. Congratulations to all involved. Went to the Royal Opera House last night to see "The Sleeping Beauty". It was spectacular, wonderful costumes, amazing dancers! ???? 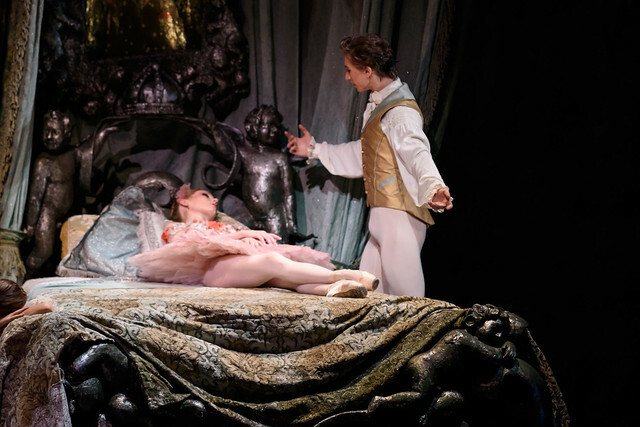 What did you think of The Sleeping Beauty? The Sleeping Beauty runs until 14 March 2017. Tickets are still available. Had a truly magical Christmas experience! Was passing by the ROH with a friend who was in London for the first time, and suggested we pop in to see what's on (secretly hoping there might be last minute tickets available). Turned out, it was The Sleeping Beauty, 5 mins before the start - so I thought, no chance, let's go home. On our way out, a lady waiting by the door asked if we wanted to see it, as she had two tickets she couldn't use, so she just gave them away to us. Thank you, our wonderful fairy, the performance was fantastic, and it felt like magic! What a wonderful lady! She must be the Fairy Godmother (or Santa Claus!) in spirit! Glad you enjoyed the show! This production is lovely. Fantastic trip to the Royal Opera House on 23/12/16. Super music, amazing dancing a great night topped off by hearing my son's wining Fanfare being played at least 4 times . Truly a night to remember for the Mulhern family . The production is excellent my only issue is casting . I appreciate there are a number of injuries among the senior principals , however casting James Hay as the prince suggests a dearth of talent in the middle ranks. He has neither the stage presence nor physical stature to be given such a role nor is it fair to his partner. It's not his fault more the management, but as the paying public we expect more . I attended the matinee with Akane Takada’s Aurora and James Hay’s Florimund and didn’t feel at all short-changed. I admired their artistry and would agree with the Financial Times' critic that they are both "impeccable technicians" and that James Hay made a “noble debut”. It seems to me that there is currently a wealth of talent in the company and so casting decisions can’t be easy but I congratulate Mr O’Hare in giving opportunities to shine to dancers at different levels and of different types. I very much enjoyed this splendid production with fine conducting of the score. I agree Mr Hay and Ms Takada make a brilliant Florimund and Aurora. Both have artistry and virtuosity, and Mr Hay was a favourite with audiences and regular dancegoers in the male lead role (originated by Baryshnikov) in Rhapsody last season. Gorgeous production, beautiful dancing and lovely playing from the orchestra. We saw Sarah and Vadim too- both were superb and made a wonderful Aurora and Florimund. We were also fortunate to have Choe, Hayward, Magri, McNally, Avis, Naghdi, Hay and Stix-Brunell in the cast- they were on marvellous form! I had the most gorgeous cast on 3 January 2017 which made for a truly sumptuous experience. Let me first say how lovely Sarah Lamb was as Aurora. Incredible technique (as ever) and surely one of the most complete dancers at the Royal Ballet. Vadim Muntagirov continues to grow in stature and certainly had a whiff of Nureyev as he jumped across the stage in Act 3. The bonus of Frankie Hayward and Alex Campbell in Act 3 capped off a truly memorable evening. I can't wait to see them dance Aurora and Florimund next month. Having seen the new, bright, colourful, production, fabulous sets and costumes by the very small but talented W A Ballet Co. in Perth before coming to London for Christmas, I couldn't wait to take my young granddaughter to the ROH to see your production. Whilst the dancing was superb and the corps delightful, I was so disappointed with the second act. My granddaughter asked where the land of sweets was, I really couldn't tell her. The set gave no indication. I thought the sets and costumes especially here, were tired. A shame. However still an experience. There is no Land of Sweets in The Sleeping Beauty, Penelope. Are you thinking of The Nutcracker? In the Royal Ballet's production of The Nutcracker, the second act starts in the Land of the Sweets and ends in a brief scene in Drosselmeyer's home. I was really moved by Hikaru Kobayashi's Aurora. She was elegant and regal. She really showed the princess's transformation from a young girl to a young woman. Wonderful! I attended the last night performance on 14th March and was sadly disappointed. It is the first time I have seen The Sleeping Beauty live and I felt the cast was heavy and dull? Th lilac fairy seemed to make hard work of her first solo and the male blue bird had little elevation. I love ballet and particularly the Royal Ballet, however this is th first time I have felt the need to criticise?